Home renovation, as it seems, could be extremely unnerving in the first place; you would always wish to directly move on to choosing and finalizing all the new paints and the way you would like to get the new things fixed. However, there are several matters that need to be thought of before you even get on board with this. Careful planning is always important in ensuring you get the best results. You need to always remember that home renovation is all about redoing the existing setup in a way that gives your home an even more appealing look. This entire process, however daunting it may seem, is actually quite fulfilling and also gives you a sense of satisfaction if you get all of it done by yourself. The point is you are not starting from scratch but you already have the resources in front of you; you are just trying to get them back in an even more presentable order. You need to be well aware of the fact that whenever you undertake this task you will have to face a lot of other side-by issues. There might come up the issue of added expenses or many unanticipated problems. However, you might not have to worry about all of this if you prepare yourself thoroughly and keep in check all the possible details; this article here helps you to gain experience and knowledge from the provided tips and plan and prepare yourself accordingly. You should always remember that time is the most important factor that can never be ignored. You might want the work to be finished before a particular event or maybe you are aiming to get the work finished at the right time so that you can move in on some auspicious occasion according to the calendar. Then in that case you have to first mark the end date and then accordingly calculate the time. It’s always advisable to keep a few extra weeks in hand so that you are always prepared for any kind of delays due to unforeseen situations. You also need to take a close look at your budget and then move on with whatever planning you do. However, if you are working on a low budget and you feel your options are restricted then do not worry or panic because there are plenty of DIY options available. They involve a lot of cool ideas and most of which can be accomplished by you. However, make sure to check the portions that you can get it done and the parts you would want a contractor or experts to handle. If you are taking the help of a good contractor then he should not be hesitant in providing references. You should also not rely entirely on client testimonials but get the proper accounts from customers who have already made use of the services. You might want to take a look at their previous ventures and the images of the works they have done. That way you get to choose the kind of people you are actually getting into work with. It’s always best to get rid of the old and unused furniture or stuff that might be there. That way it also adds up to the already available space and gives you an opportunity to get some new things. Also, try and make a renovation-free zone which means that you can move your family along with your necessary belongings to a certain place where you can relax and unwind. This can be your functional space and all the family members can gather in this temporary living space to just relax at the end of the day. This particular point is very easily overlooked but it requires your attention fully and that is the weather. A lot of other factors depend on this as well. You need to always keep a check on the weather forecasts and if you are having a spring or summer remodel then you won’t have the conditions in your favor. Maybe you can try and get the outside painting done right before the monsoons so that the paint stays well after getting washed several times in the rainwater. Try and think about the heat and cold days when you working on the electrical lines of the house and always stay cautious and have some sort of backup planned to combat the unexpected weather changes. 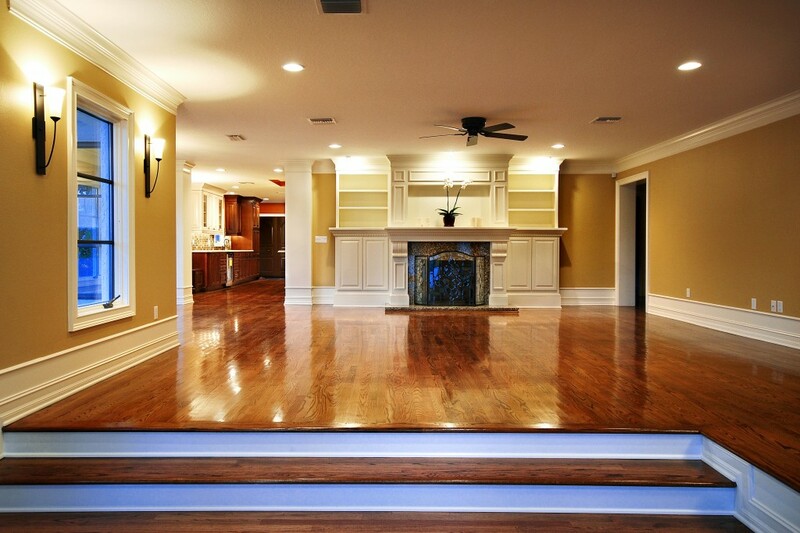 With help of these tips you will always end up with a perfect house remodel. You can always check into the Gray Homes site for affordable renovation ideas and options. This article here suggests you these tips for a well planned and successful renovation.